100% natural slabs are cut from quarries and polished. Each slab has its own unique variations throughout. All granite countertops fabricated by Granite Direct are treated with a 15 year sealer which makes them virtually maintenance free. 100% natural slabs are loved for the beautiful and unique veining found throughout each stone. Easily scratched this stone is only recommended for bathrooms. These engineered slabs are composed of crushed quartz and rosin and are colored with pigment. Appearance is uniform and does not vary from slab to slab. Quartz is stain, scratch, heat, and chip resistant. We do everything possible to eliminate seams from your job – if it will fit on the slab and we can get it into your home, we will not put a seam in it. Granite Direct has perfected a system that makes our seams chip free and razor thin. Seams are always strategically placed in the most unobtrusive place possible. Our hand polished edges go through seven steps of polishing and are never waxed to hide imperfections. ¼” Bevel or Eased edge (included in price). 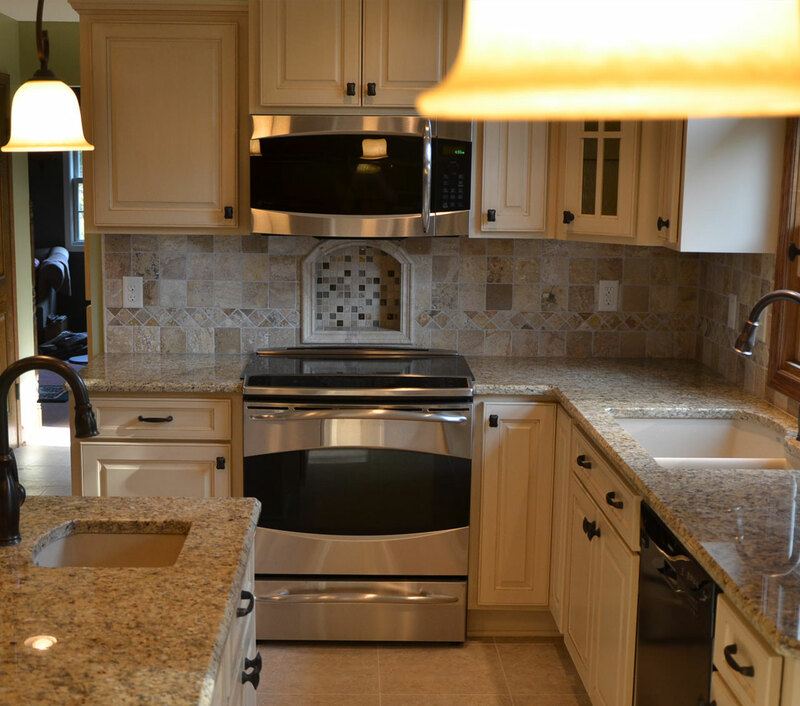 After you have made your final granite selection and all necessary plumbing fixtures are on site, we will come to your home to get exact measurements by making custom templates of your job. With about two weeks for fabrication and polishing, we will be ready to install your new custom stone. 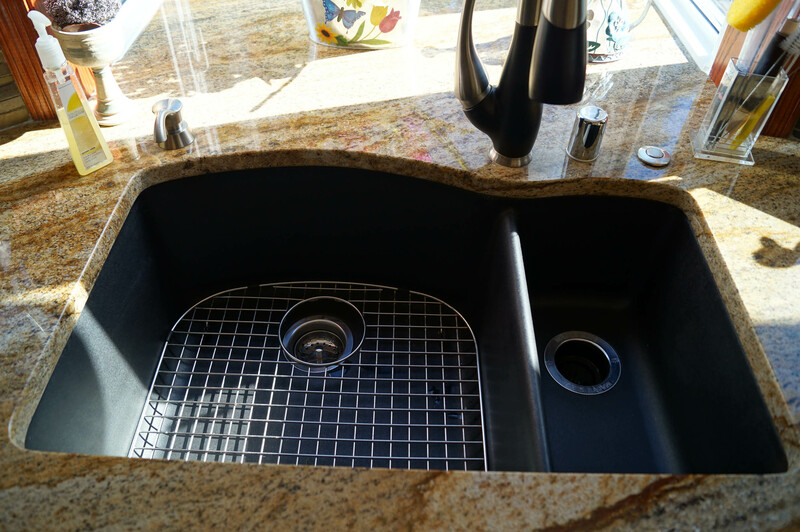 This includes your choice of eased or ¼” bevel top edges, one undermount sink cutout, faucet holes, 4” backsplash, and sealing of the granite. We are so confident you will be happy with our work, we guarantee that if you are not satisfied, we will refund your deposit and remove all countertops from your home. Remnants are the pieces of stone that are left over after slabs have been cut for large projects. Varying in size and color these pieces are often perfect for bathroom vanities and smaller jobs. 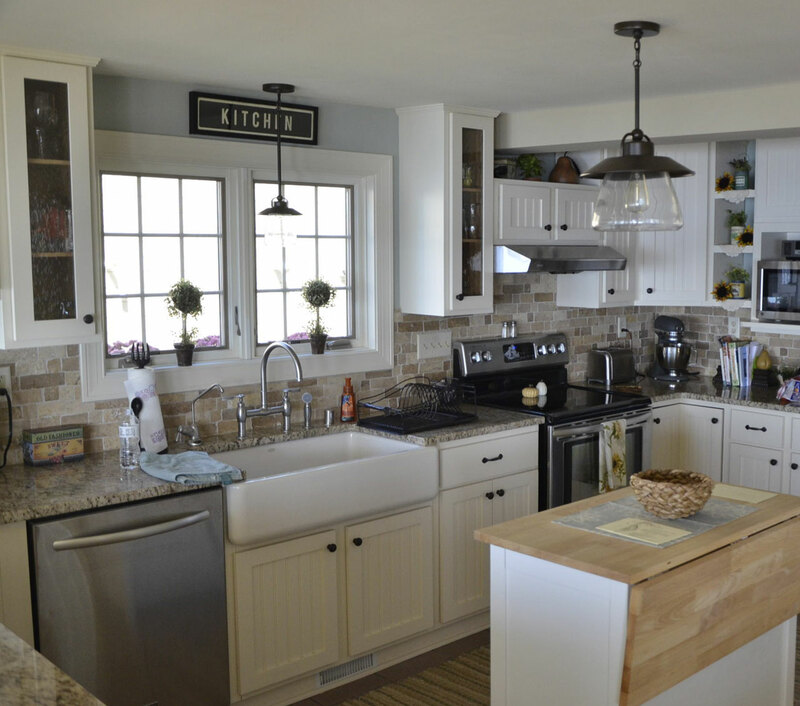 Tear out and disposal of all countertops (excluding tile) is complementary. At Granite Direct, our customers go right to the distributor to choose from hundreds of unique slabs. Your personal selections create the one-of-a-kind look that fits your home best, while our expertise ensures the finished product is of the highest quality. Are you ready to get your project started? Contact us to setup your free consultation. Kitchen and Peninsula in granite. 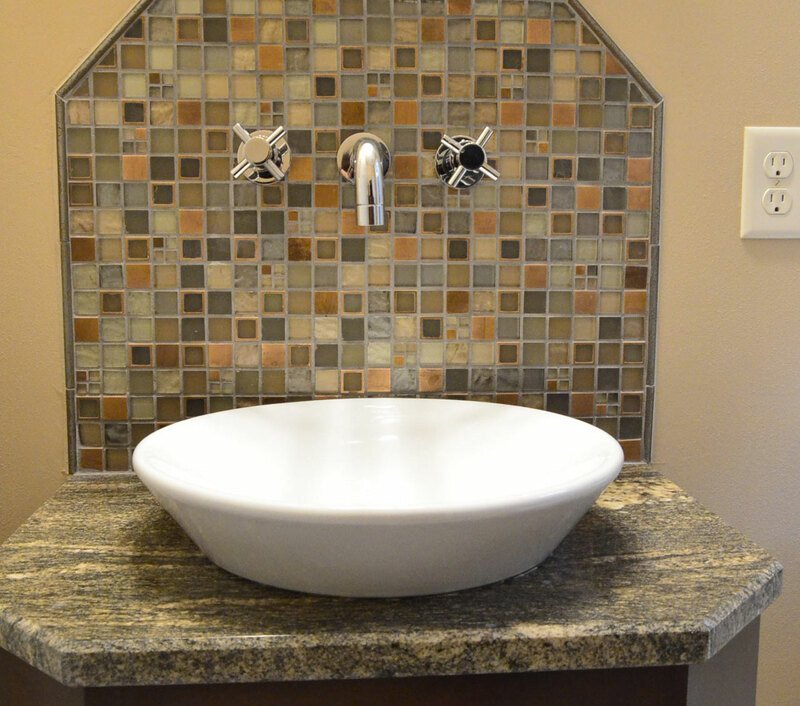 Made from 80% rock hard granite, these sinks are scratch, chip, stain, and heat resistant. Kitchen in Golden Crystal granite. 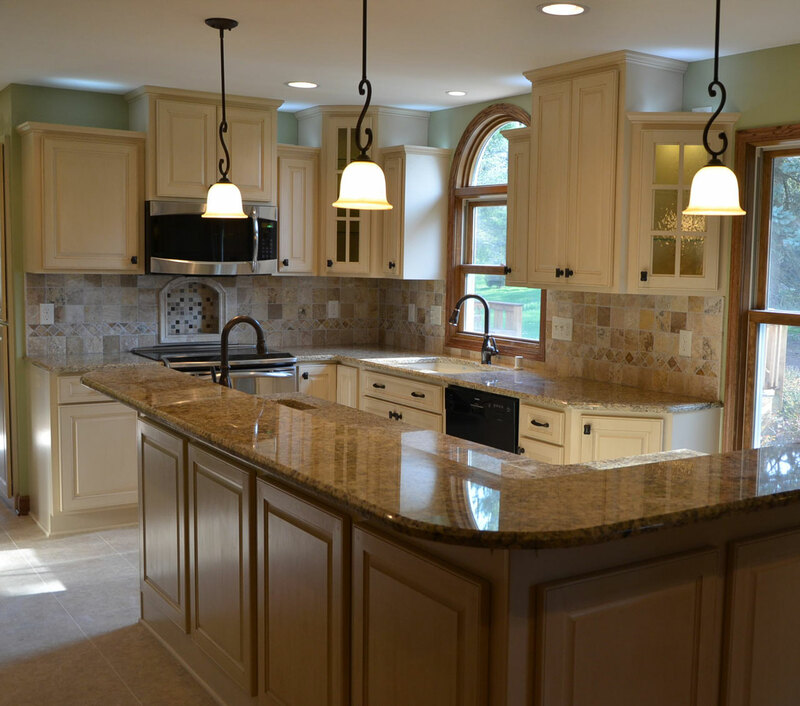 Kitchen countertops in Golden Crystal granite. 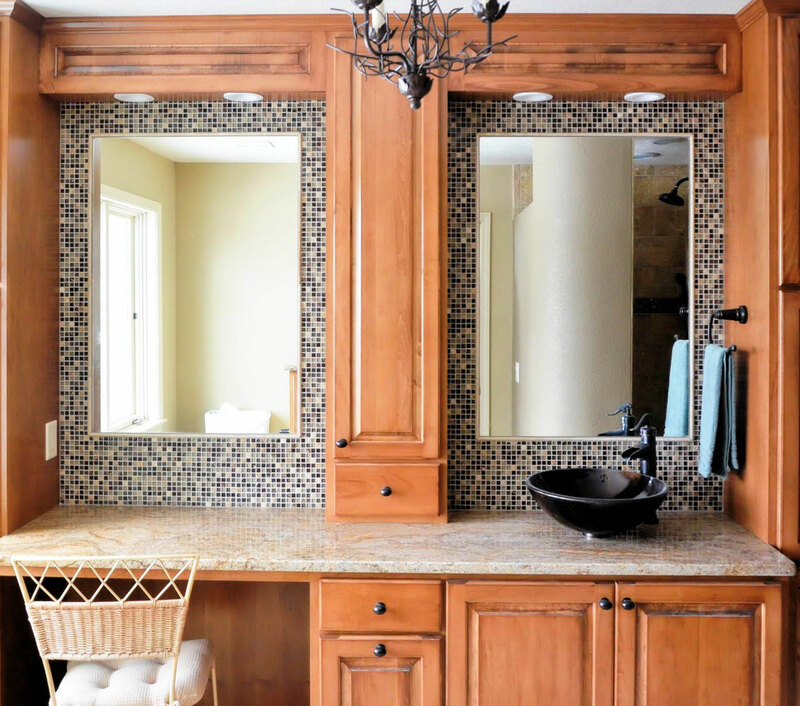 Bathroom vanity in Cordoba granite. Kitchen countertops in Venetian Gold granite. 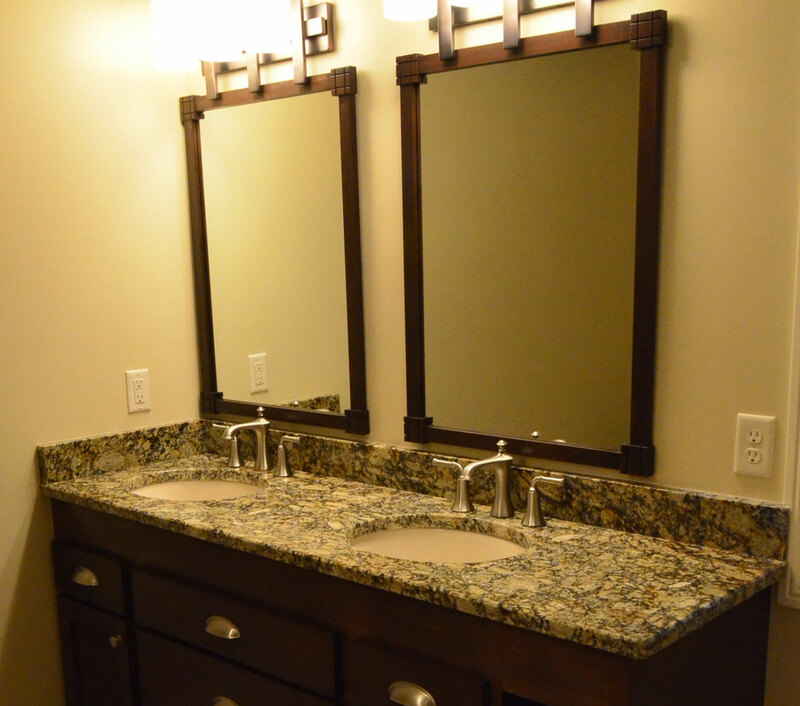 Bathroom vanity in Giallo Portofino granite. Kitchen countertops in White Ice granite. 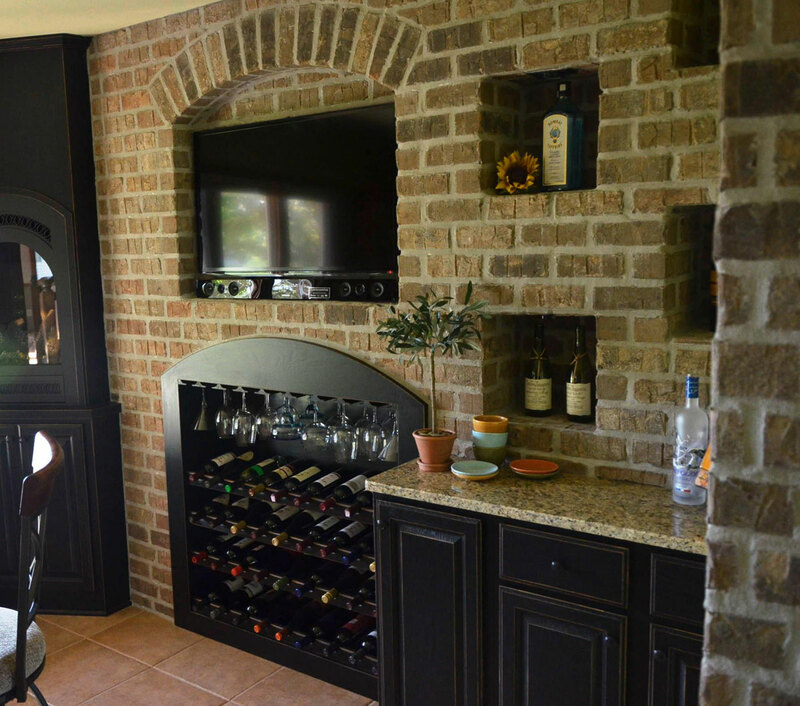 Wet Bar in Venetian Gold granite. Granite Direct's pricing is unbeatable. I shopped everywhere and finally settled on Granite Direct to take on my kitchen granite project. 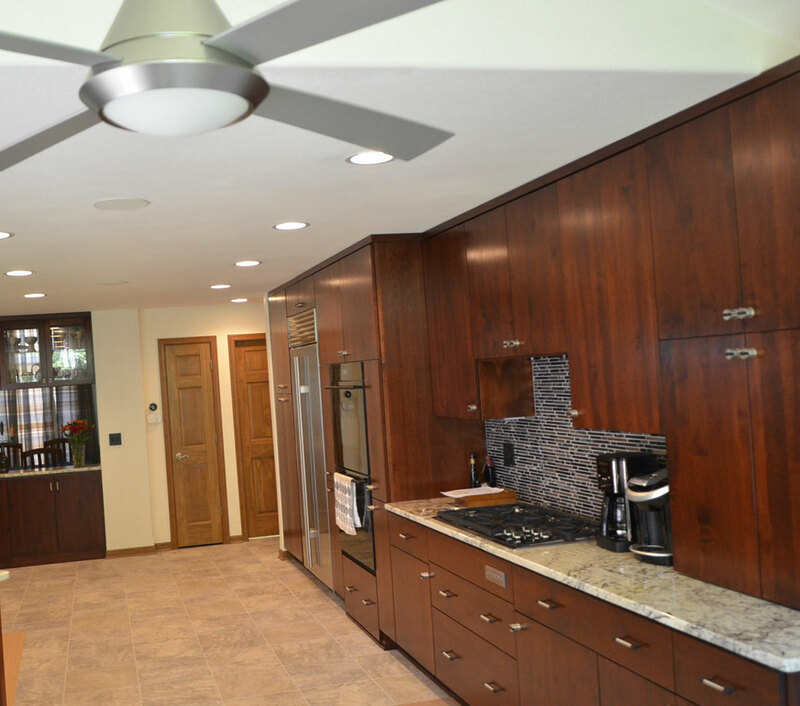 There is not a single granite company in Waukesha or all of South Eastern Wisconin that matches the price or quality of Granite Direct. See you guys soon for my bathroom! 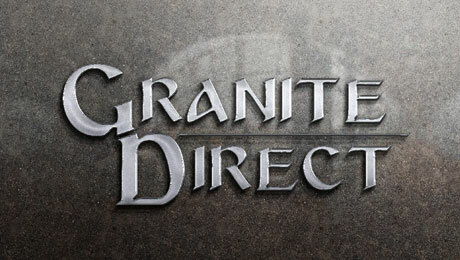 Working with Granite Direct has been a phenomenal experience. Eric and his team were extremely helpful in answering every question I posed - it was an educational experience to say the least! But more importantly, my granite looks AMAZING. 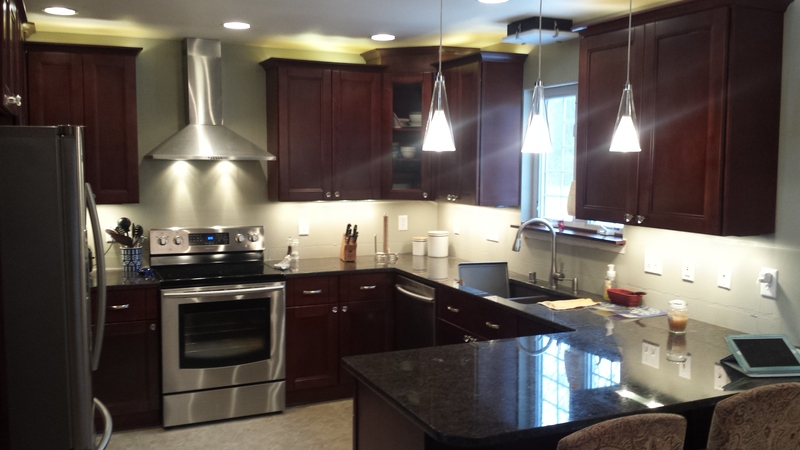 My expectations were more than exceeded in working with Granite Direct. At Granite Direct, we accompany you to the distributor to choose from hundreds of unique slabs. 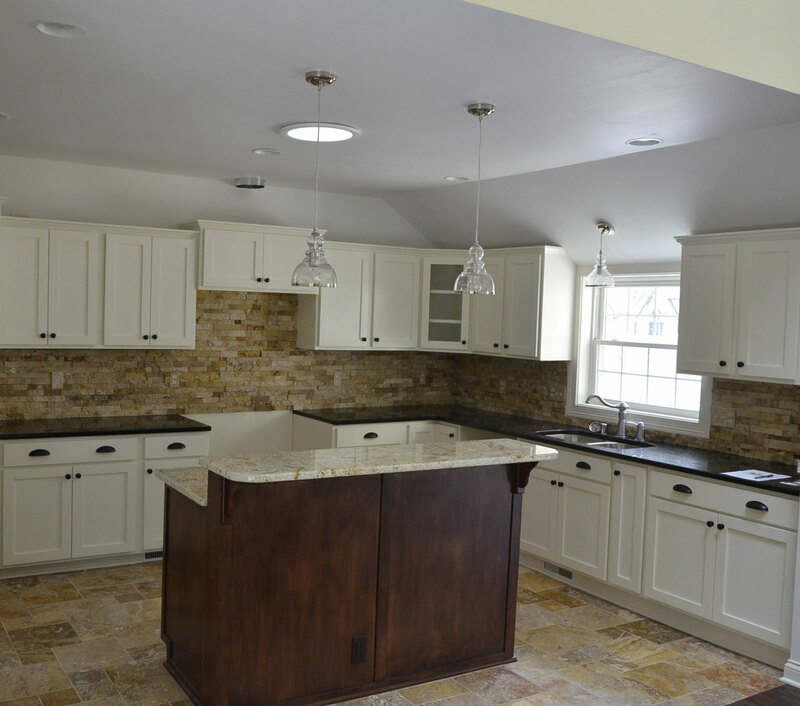 Your personal selections create the one-of-a-kind look that fits your home best, while our expertise ensures you have the highest quality stone available.